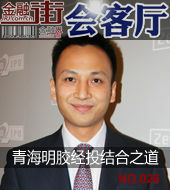 “Financial Street Living Room” is an interview section created by the financial industry website. The main interviewees are government officials, economists, listed company executives, and senior market participants who are closely related to the capital market, and strive to expand information, convey value, and feel. Wisdom, the most realistic and vivid image of the frontier of the capital. The A-shares that had already been at the bottom suffered from the US stock market crash under the turmoil, and did not support the key points. Where will the A-shares go? In the face of the US interest rate hike, how will China face the difficult choice of maintaining foreign exchange or maintaining exchange rate? A series of measures implemented by Trump since it took office have been gradually implemented. Is there a "virtual fire" in it? US stocks fell for a few days, the global financial market sorrow, all eyes are focused on US stocks, however, in the context of a strong recovery of the US economy, US stocks are a short-term adjustment, or will it turn down? What kind of interest rate hike will bring to the US economy and emerging market countries? No. 282: Xie Chao: A-share grinding period will end. Investors will be able to break the heart thief in the long run. 2644 points are already at the bottom of the market, long-term funds are actively being laid out, and retail investors are surrendering their own chips, which is a pity. After the bears cleaned the market, the investor structure of the market is changing. This is also a solid step for A-shares to mature markets, but at the cost of the transfer of retail wealth. No. 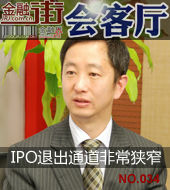 281: Li Dazhao: The A-shares have passed the "Children's Cattle" in the future. After experiencing some painful bottoming out, the A-share index finally ushered in a decent small rebound after the Shanghai Composite Index hit a new low of 2644. However, in the face of the mixed news of the success of the rich and the Fed’s interest rate hike, A shares The road to rebound seems to be not so smooth, will A shares test 2644? No. 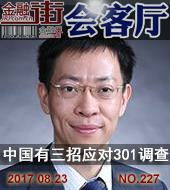 280: Yuan Guangping: The market is short-term and difficult to reverse. The big probability will continue to be ground. The market is currently in the bottom range. Fundamentally, although the macro environmental pressure this year is greater than that of 2017, the current published mid-year report shows that the earnings of listed companies are still at a good level. In terms of funds, the performance was relatively stable, and industrial capital increased actively. In terms of valuation, the market-wide P/E ratio is also close to the historical low. Since entering September, A shares have shown signs of decline and their quantity has continued to shrink. All market participants are thinking about a question: Is this the bottom? Looking at the domestic economy, the stagflation crisis has not yet been lifted. On the other hand, the US economy is in full swing. How do you get the A shares under the double-sided attack? For investors, is it a good time to buy and sell? No. 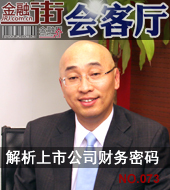 278: Zhu Baoliang: The current economy has no inflation. The so-called price increase "transmission mechanism" does not exist. After a wave of price increases, the market discussion about inflation has revived, and many people believe that the current economy is facing the risk of “stagflation”. So is there any reason for the so-called price transmission mechanism? Without a house to absorb liquidity, will the liquidity in the market push the price of goods further? Will it endanger normal economic operations? No. 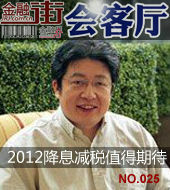 277: Xie Yaxuan: Inflation is not enough to fear that the exchange rate will increase in the second half of the year. The Shouguang floods have caused the whole people to worry about a problem. Will the price of vegetables that have already risen continue to rise, and will the price increase spread to other necessities? What is driving behind the rise in vegetable prices? Is inflation really coming? Without real estate, the “killer” that absorbs liquidity, will hot money continue to push up commodity prices? No. 276: The rent rises and the capital shouts. 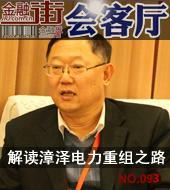 Yi Xianrong: You are not at all jealous. Beijing has issued 6 stable rental prices in 7 days. Can these measures have a long-term stable rental effect? Can rely on administrative means alone to curb the nature of capital bloodthirsty? Is the yelling capital really as it is said, and it does not secretly raise the price? For young people, is it necessary to use the "six wallets" to make a decisive home purchase? The appreciation of the US dollar and the triumph of the US economy have led to the relative depreciation of the renminbi from the outside, while the downward trend of domestic GDP growth and the gradual deviation between China and the United States have intensified this trend. However, from the attitude of the central bank, the renminbi will not break 7 in the short term, and it is likely to stabilize, but the fundamental pressure of depreciation in the medium term is still very large. At present, the government still thinks very clearly. The first one of the "six stables" is to stabilize employment, employment has stabilized, people's livelihood has stabilized, and society has stabilized. The current financial problems are still largely expected management problems. Now most people are "fearing because of the unknown", and the fear of beauty is spreading. I think the market is overreacted with a high probability. No. 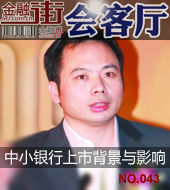 273: Liu Jianwen: Tax evasion in the entertainment industry is related to the individual tax system. The yin and yang contract events in the entertainment industry are related to the individual tax system itself. Because the wage income is subject to a maximum tax rate of 45%, and the company imposes a maximum tax rate of 35%, the star saves 10% of the tax rate by setting up a studio. This is why I emphasize the design of tax rates and how to consider the fairness between tax rates. Individuals who do not enjoy the 45% tax rate for such policies may evolve into a new personal income tax “sandwich”. The adjustment of income distribution to the highest marginal tax rate is therefore greatly reduced. Therefore, it is necessary to jump out of the narrow perspective of income distribution and directly reduce the tax rate to enhance the attraction of high-level international talents. No. 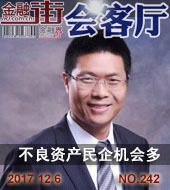 271: Feng Fuzhang: Mixed reforms are very good, and there is a big market in 2019. The rise in the military sector is mainly due to the investment shift brought about by the medical bad. For the military sector that currently presents a phased market, the short-term investment focus is on rebounding. The key to long-term investment d is fundamentals, focusing on valuation and looking for companies that rely on order growth to bring performance growth. No. 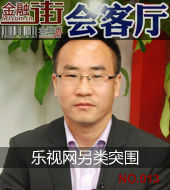 270: Wang Jun: The actual impact of 200 billion tariffs is limited. If the US economic pressure appears in the future and the global economy resonates downward, the market may have a new bottom. Therefore, it is a bit safer for A shares to fall below the low water level; if it rebounds to a certain high point, it may be a bit scary. This directional RRR cut does not mean a shift in monetary policy. It is important to recognize that our country's sound monetary policy is a long-term orientation that cannot be easily changed. This is the lesson learned from the international financial crisis. Too low interest rates will encourage the market and financial institutions to leverage. In the context of the current central bank's return to traditional monetary policy, there will still be several RRR cuts during the year, and the RRR cuts will be carried out in the name of hedging MLF expiration or in the name of targeted RRR cuts, which may release more liquidity, with the intention of mitigating the current The situation of private enterprises and small and micro enterprises financing constraints. The current round of bond defaults, the issuers are concentrated in private enterprises. These enterprises are subject to the dual constraints of their own cash flow accumulation ability and the difficulty of external financing. The bonds issued in the previous period have expired, which makes the bond defaults occur frequently this year. The current financial market turmoil is limited to a few emerging market countries such as Turkey and Argentina, and the level of turmoil is much lower than in 2008. The direct cause of the recent financial market turmoil is that the US dollar exchange rate has clearly strengthened, resulting in a significant depreciation of the emerging market currency against the US dollar. Next year, MSCI may start another round of assessment. Stock investment actually invests in market expectations. A-shares can be compared to a long-distance run, but now the starter gun has just started, as long as it is not at the end, it is expected to exist. Since the beginning of this year, market performance has been a matter of both value and growth. In terms of value, the MSCI International Link Index is a model of value, and it superimposes the eventuality of A-shares, and is more optimistic about this index. No. 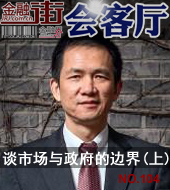 263: Wang Sheng: Breaking the net tide does not mean underestimating MSCI included "money will run ahead of time"
If the company does not have value, and if it destroys the value and does not bring good returns to shareholders, it should be traded below the net asset price. It can't be said that there are many stocks that break the net, it must mean that the valuation is low. Of course, you can say that there are more net stocks and the market sentiment is more pessimistic. The benefits of many efficiency gains in China are realized through the private sector. 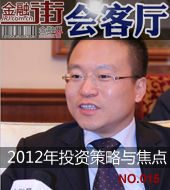 At present, the process of privatization has slowed down, and China should continue to bring this process forward. 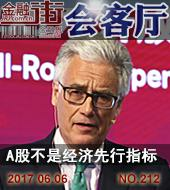 In addition, China's state-owned enterprise reform needs to be treated differently, and should not be "one size fits all". With the global tightening cycle, since March this year, the Hong Kong dollar has continued to weaken against the US dollar. The Hong Kong dollar has hit a 35-year low, approaching the 7.85 “weak party exchange guarantee” level, which has set a new high since the introduction of the linked exchange rate system in Hong Kong in 1983. No. 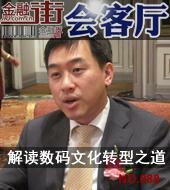 260: Cao Yuanzheng: Although Hong Kong's linked exchange rate fluctuates, it is still not in crisis mode. Under the currency board system, all problems in the Hong Kong financial market will accumulate in the linked exchange rate. In this sense, the current practice of the Hong Kong Monetary Authority to stabilize the exchange rate seems to be similar to that of 1998, but it will not be a crisis. After the foreign-funded asset management company enters China, it will provide the Chinese people with more than just envy, envy, punishment, punishment, blame, punishment, punishment, punishment, punishment, and punishment. Sticks? Crabs are shallow 4? From the comparison of domestic and overseas market valuations, the valuation of A shares is the most advantageous in the world. Therefore, once the transaction is convenient, it is very beneficial to allocate A shares to overseas funds. Originally, foreign investors want to allocate A shares. Because there is no good convenient trading route, it will waste a long time and will waste a lot of investment opportunities. The IMF told the financial community that the impact of the tax reform on the US economy is positive, and the positive impact will continue until 2020. These changes are likely to increase US public debt, increase its current account deficit, and exacerbate global imbalances. No. 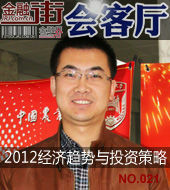 256: Chen Guo: The strategy of the whole year is optimistic about the GEM. The unicorn promotes the market and embraces the new economy. Don't go with the flow, don't enter when it's overheated, it's an entry period when it's underestimated. If you are a better-developing company in the future, you should use a longer investment plan to deal with future uncertainties. Be too high to be wary of PetroChina second. No. 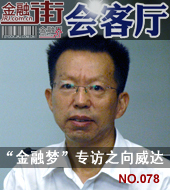 255: Li Dazhao: Excessive pursuit of "unicorn"
It is impossible for the United States to initiate a trade war to smooth out its trade deficit. There are four reasons for the US trade deficit: the US dollar's international reserve currency status, the US's low-savings model of excessive consumption, the division of labor in the global value chain, and the US high-tech export restrictions on China. Exports of agricultural products, transportation equipment (aircraft, automobiles), clothing and trade in the United States are highly dependent on the Chinese market. As long as China moderately reduces aircraft imports and imposes agricultural product sanctions on the big states where the Republican ballot is located, Trump has It may not be able to endure the resulting effects of exports, employment and votes. On the one hand, the United States threatens us. On the one hand, it forces us to make greater breakthroughs in the field of technology. If we have a bigger breakthrough, it will not be easy for Americans to make our money in trade. The mobilization of trade protection in the United States will accelerate the upgrading of our industry. The unicorn policy releases signals of innovation and capital market institutions. 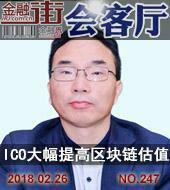 At present, the IPO review is relatively strict, but the “four new”, new technologies, new industries, new formats, and new models are mentioned, and these enterprises will become the targets for monitoring the future key listings. No. 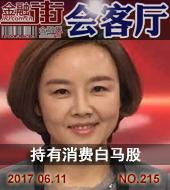 250: Chen Xingdong: Powell will not be radical than Yellen. This year, he tends to raise interest rates three times. Powell will not be more radical than Yellen. From a political point of view, he should be more cautious than Yellen. His relaxation of financial regulation, especially the relaxation of the control of small and medium-sized financial institutions, will advance on the basis of Yellen. No. 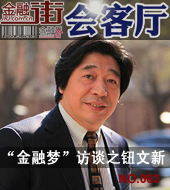 249: Professor Peking University Color: The Fed is likely to raise interest rates in March. Powell is not a hawkish person, but a neutral person. The Fed’s interest rate hike policy mainly reflects the United States. First, the trend of monetary policy is big. Second, the current real economic data is quite eye-catching. In this context, the possibility of a rate hike in March is very high. In 2018, the Chinese economy should place more emphasis on technology manufacturing and place more emphasis on various service industries for people's livelihood. Many growth stocks on the GEM have not risen much, so 2018 will be a year of growth stocks. As a financial innovation tool, ICO's colleagues who reduce the investment threshold of ordinary investors in emerging technology industries have also exposed the problems of “insufficient professionalism” for ordinary investors. As a new technology, blockchain may have a good application prospect in the future. 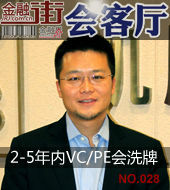 It is normal for angel investment, VC, and PE to get the corresponding financing. But as an ordinary investor, you should be cautious. Most of these things in the secondary market are hot money. The entire economy presents a very obvious phenomenon of 28 differentiation, but a large number of SMEs are still difficult to manage. In the 18 years, the two indicators of “new social financing growth rate” and “new bank loans” will not start even if they do not fall. China's legal digital currency, the central bank has set up a digital currency research institute in the first half of last year, and is doing a strong team research and development. At present, it should be the research and development stage, and gradually find opportunities to launch. If it is fast, it will come out in the second half of 2018. Large-cap stocks performed well in 2017, and small-cap stocks have returned to their lowest point in history. The relative income is so absolute, it shows that all investors are buying large-cap stocks. So, if you want to buy it at this time, you have to think clearly, who you are still earning. I always think that I can live in this market well. If I can live to the end, I must be a professional disposal team with high-end disposal technology. I can truly complete the disposal of the non-performing asset market. I am not optimistic about those products that rely on products. A strong fundraising ability that does not really dispose of the institution. The nesting of asset management products is easy for bank funds to be used across the market. In this case, some risks will be beyond the scope of bank risks. For example, custom projects may expose this part of the funds to financial market risks, such as the stock market. However, banks are doing debt financing or credit financing, which is different from the equity market. Investors need to know that making money is risky. This is a very easy thing to understand. Therefore, if investors educate this piece, they can do some education for investors through rigid redemption, which is also a good start. The breakage of rigid redemption is still protecting banks and protecting state-owned assets. Because in the next three years after 2018, it is said to be a "hard bones" reform - to deal with the soft constraints of zombie enterprises and local city investment platforms, a large number of breaches of the tides of black clouds, the loss is no longer a bank, but to buy wealth management Investors, the bank has no pressure to advance. In all kinds of doubts, the US economy has climbed from the bottom for almost ten years. Although the current recovery of the US economy is not as strong as any recovery in history, it is undeniable that with the support of loose monetary policy, the economy is improving and it has performed relatively well in the developed economies of the world. The stock market now seems to have a chance. The recovery of corporate performance is not over yet. Next year is the year in which bank profits will be repaid, and profit drivers will continue to be reflected. This is a very important supporting factor. In addition, inflation expectations at home and abroad will rise next year, which corresponds to the stock market also has a corresponding sector opportunities. The real estate tax must be constantly perfected in the pilot program. The laws of our country are all principled. Generally, specific implementation regulations are attached. The price gap between different cities is very large, and the tax rate will definitely be different. This time, we should not make a one-size-fits-all policy. We must advance in places that are easy to advance, and finally spread across the country. For the future trend of real estate, we must be firm that the house will return to the housing property, but this does not mean that real estate will fall sharply. It seems that the demand for housing by our people is still at a high level. Don't worry about it. For real estate, the state still has the overall control. The current economic growth is exceeding expectations. First, the GDP growth rate exceeded expectations; secondly, the manufacturing PMI has remained above 51% this year, and has continued to maintain a stable and good trend, especially for the small-scale manufacturing PMI. Third, the performance index is very good. Good, close to zero at the beginning of last year, but reached 11.51% in August. The greater response of Hong Kong stocks to “directed RRR” is mainly due to its lower valuation than A-shares. Targeted RRR cuts can bring short-term emotional improvement to the stock market, but it is still not enough to start the trend market. condition. After entering the fourth quarter, the first thing to pay attention to is what kind of confidence the party's "Nineteenth National Congress" can inject into the capital market. In fact, the Republican Party is also aware of the problem of internal disunity. They are facing the midterm elections next year. If the Republican president did not make a substantial contribution before then, they will definitely lose most of their seats. Now the Republican Party has given Trump a green light all the way. Since the Fed’s September meeting has already made a resolution, it will definitely see the first contraction in October. The first time it should stop buying US$30 billion in US Treasury bonds. But how to ultimately operate depends on the trend of the US economy. Citi is suspicious of the Fed’s continued contraction and interest rate hike. On September 20th, the Fed has a meeting on interest rates, may decide to shrink the table, and may raise interest rates at the end of the year. The tax reform prospects have become optimistic and the US dollar has fallen for a long time. Considering the comprehensive consideration, the US dollar may usher in a wave. Rebound. And with the rebound of the dollar, the yuan will also usher in a wave of adjustments. Specifically, first of all, the development of ICO is similar to the development of P2P before, and has experienced a period of explosive growth. The root cause of P2P's final problems is that supervision is not in place. 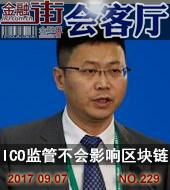 For ICO, the timely release of supervision to make up for the regulatory gap is to avoid repeating the P2P. No. 228: Sino-US trade surplus has a "pseudo-proposition"
Whether China and the United States will eventually fall into a trade war depends on how the two sides play cards and how to play. Just like playing chess, there are many choices about how the chess pieces fall. We try our best to think about the problems and strive for the development of the good ones, but we must also prepare for the worst results of this kind so as not to be at a loss. .
No. 227: China has three measures to deal with the "301 investigation"
China will also be affected, but China's damage can be large or small, and it can be lowered to a very low level. Under the background of the “Belt and Road”, if China can gradually achieve trade balance with other countries, import more from other countries. If you need the products, it will help reduce the losses caused by trade friction with the United States. First of all, we must choose the industry, choose the sub-sectors with the up-and-down economy, the law of economic development and its own growth, and then choose the enterprises with good business qualifications, not the new enterprises that enter or extend the merger, but they have A deterministic growth enterprise. Inflation data has a greater impact on the Fed’s interest rate hike path, but the shrinking table is more about economic and employment data. The current US economy is recovering steadily, the unemployment rate is still at a low level, and the labor market is close to full employment. These conditions all support the Fed’s contraction as soon as possible. Table, return to normalization of monetary policy. At present, the international share of the renminbi is only 1%. We must be soberly aware that there is still a big gap between us and the US dollar. This is a long-term task and it will never happen overnight. In this case, it is very important that the renminbi maintains stability with the US dollar. This is also where I am different from the mainstream. We have also proposed economic de-leverage. To de-leverage, we must vigorously develop the stock market and carry out equity financing. If we continue to increase loans according to the past model, we are actually expanding our leverage. If we develop the stock market, we are actually De-leverage, because it is its own capital, it is helpful to economic de-leverage. The leverage of the Chinese bond market has gone almost the same. As long as the leverage is controlled within a reasonable range, there is not much problem, but rather a conventional means of profit. At present, the liquidity risk and interest rate risk of the bond market are not high. The main risk in the future is the risk of credit default. The fundamentals of researching good enterprises are the key points. Since the international financial crisis in 2009, the performance of the A-share market has been better than that of other emerging market countries. The Shanghai-Shenzhen 300 has increased by 95.1% since January 1, 2009, while the return of MSCI in the inter-segment is 78.64%, so A The long-term return of the stock market is actually very impressive. The volatility of the stock market has little impact on this matter, because China is an emerging market, and the fluctuations of A-shares in the past two years are normal in emerging markets. In addition, in the past two years, the supervision methods of the CSRC have made great progress compared with the previous ones, and some improvements have been made at the institutional level. So I think the reduction factor for this piece is relatively small. The change in currency liquidity is the common result of both supply and demand. The money supply has already touched the bottom region. The demand for money has declined with the growth rate of economic growth. In the second half of the year, liquidity is expected to usher in a phased improvement due to the economy. The growth rate is small, and the space for liquidity improvement should not be too large. 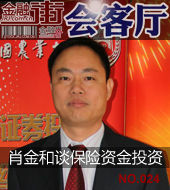 Du Kejun, Vice President of Beijing Gray Investment Management Co., Ltd. Although the Fed’s interest rate hike is fierce, we have already made policy hedging in China, and the boots have landed. It is not ruled out that A shares will usher in a small rebound. But considering the big macroeconomic background, I don't think there is a basis for launching a bull market in 2017. The real bull market launch may need to wait until mid-2018. After the stock market crash, the regulatory thinking has undergone a very big change. The deleveraging and risk elimination have been placed in a more important position. Previously more radical reforms or financial innovations have been placed in a relatively minor position. From the earliest investigation of overseas fund-raising, to the recent series of regulatory documents issued by the China Securities Regulatory Commission, it shows that the general direction is still to reduce leverage. The current monetary policy and financial regulatory policies are relatively tight, the most important reason is that the current economic growth is not bad. But the problem now is that the economic recovery momentum has been significantly weakened in the first half of this year. With the steady growth of the second half of the year, pressure will come back. I believe that the neutral and tight monetary policy will be adjusted at that time. It is recommended that investors return to the fundamental analysis when making decisions, not only the mechanical concern of low-value stocks, but also the factors of industry boom, supply and demand, and the company's core competitiveness. High-quality stocks, in order to obtain a solid income in the medium and long term. The last time it fell from 6124 points to 1664 points, this time from 5178 points to the lowest 2638 points, the big factor is because of the existence of stock index futures, so that the market bubble is not exaggerated to the extent of ten years ago. Retail investors generally enter the market when the market is the most insane, so retail investors should thank the stock index futures, did not let themselves as much as the last loss. The impact of the US dollar interest rate on the bond market is relatively large, because the rise in interest rates indicates that the US dollar is stronger, and US bonds have higher yields than those of other countries, thus hurting some countries' bond markets, including China. In general, the Fed’s interest rate hike and China’s financial supervision are a constant blow to the Chinese bond market. The regulatory layer acts as a lubricant for the financial system, especially the China Banking Regulatory Commission and the central bank, and is always alert to the risk of bankruptcy. It is still very meaningful for China to be wary of systemic financial risks. China's economic credit leverage has not grown too dramatic. The obvious economic risk in China is that the loans have not been returned in time, resulting in bad debts. The “Belt and Road” is a framework for regional cooperation. Countries seek economic transformation and expand market demand. From China's own point of view, it is open to the outside world, including global industrial cooperation, expanding foreign economic and trade exchanges, etc., which is part of China's globalization strategy. I prefer to describe the “Belt and Road” as a kind of ubiquitous economics. Most countries in the world have our voices, and we don’t have to discredit what cultural aggression we are talking about. It is a wide-ranging economic cooperation. The “Belt and Road” is simple. The old globalization model is based on the division of labor across the international industrial chain. The elites of developed countries and the working class in developing countries are profitable. The “One Belt, One Road” is built through interconnection and is conducive to achieving Pareto improvement in all levels of the world. . Therefore, it is of great significance to the economic development of the world economy, especially the Asia-Pacific region. To look at the Chinese economy, the first thing that needs to be clear is how long the cycle of the economy is to be seen, and secondly, what criteria should be judged. From a long-term perspective, the current Chinese economy is still at the bottom, and 2017 and 2018 are still the process of adjusting the bottom. In the case of Trump, a politician who confuses the people, he actually exploits the disadvantages of globalization and introduces new protectionism, but new protectionism is not the solution to the final answer, it may cause more Unemployed, because the global supply chain has been established, very efficient, if you break this global supply chain, it will definitely bring a great price. The establishment of Xiong'an New District will become the new engine of economic development in northern China. It will have great achievements in innovation and development and green development, and it also marks the third wave of development of China's economic and social development. The second level is that from the coordinated development of the Beijing-Tianjin-Hebei region, Xiong'an marks the coordinated development of the Beijing-Tianjin-Hebei region and has a foothold and a grasp in space. If you must invest, it is recommended to pay attention to companies that have a certain performance support and truly contribute to the development of Xiong'an. But these companies are hard to see in a year or two, because Xiong An is just starting out planning. The most important thing about investing is not to make mistakes. Opportunities are always there. You need to identify them clearly before you start. As a smart new district, it will be reflected in many fields such as smart transportation, smart home, and smart management. Wisdom is to integrate new information technology into urban planning and management, including smart community management and urban management of the city, which may be more intelligent, which will use artificial intelligence systems. If the theme of Xiong'an is ebb, the future market theme may return to the reform of state-owned enterprises, the Belt and Road, and the mixed reform. In particular, the Belt and Road Initiative is a year-round theme. The Belt and Road Initiative is equivalent to the establishment of a large group in China, and many countries have joined this group. The influence of this group is much greater than the influence of the US TPP. Now that we are setting up such a new district with national significance, and we must have scientific and technological innovation functions, we must lay out some universities and research institutions. Therefore, some universities or some colleges (research institutes) will certainly be dismantled, including of course. Establish a branch campus there. This is a brand-new concept that is beyond people's imagination. 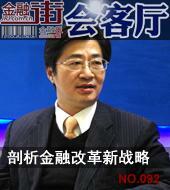 Nowadays, the speculation in the market is not necessarily the real concept of Xiong'an. People's associations are too superficial at present, and only the world's highest-level first-class enterprises can participate in it. High-pollution and inefficient enterprises only have the responsibility of demolition and relocation, and there is no possibility of participating in this. By the time of the correction period, some stocks that have risen in the first wave will fall sharply. After that, some stocks with inherent vitality will have a big market, but they must rely on performance to drive the stock price up. In addition, the regulator does not want the market to rise too fast because of a certain theme. It is not excluded that there will be some corresponding measures at the regulatory level. The freeze indicates that real estate should be balanced under the government's macroeconomic regulation and control, in order to meet the needs of the people, the needs of industrial transformation, the needs of the development of high-tech industries, and the needs of living. The freeze is temporary and relevant policies will be issued soon. The future plan will come out and it will be released. The environmental pollution in the entire Baoding area is relatively serious, as is the entire region of Beijing-Tianjin-Hebei. The smog in Beijing is so serious because it is greatly affected by the transboundary pollution in the surrounding areas. The establishment of the Xiong'an New District may provide an opportunity to improve Baoding and the surrounding environment. 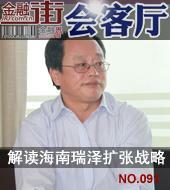 In particular, environmental pollution like the Baiyangdian River Basin will certainly be governed. There are examples to prove that there is no labor demand in some of the current technologies. There is a need for reconfiguration of the supply chain, and this will pose new challenges for many developing countries. In the United States, for example, in the next 20 years, the US trade will not create jobs again. In other words, the manufacturing industry is declining and the service industry is on the rise. In fact, from the overall economic trend in 2017, it is stable and there is no big market for the stock market, it will be relatively mild. I don't think we should look for investment themes in the work report of the two conferences. The so-called theme is so popular that it will probably become speculative in the end. If financial investment cannot be maintained at a very high level for some time to come, unless private investment keeps up, the investment growth rate will definitely come down. Judging from the current growth rate of real estate investment, these years have maintained a relatively low growth rate. It is not very important to discuss whether to rise or fall at such a speed. There is no such big country in the world, there is a relatively unified market and language, a relatively high and universal education level, and the nation is relatively single. In the long run, I am not worried about China's economy. However, in the short run, there are problems of economic restructuring and ideology. Now, when doing policy, we should do more research and research. At present, the US trade rulings against China are initiated during the Obama administration. It usually takes one or two years for each trade dispute to be initiated and decided. It will take some time for the Trump administration to resolve the trade dispute with China. Don't pay too much attention to how much your assets are worth, but pay attention to whether your assets can be sold once the financial market is in turmoil. The price that cannot be realized is meaningless. It is necessary to increase the proportion of monetary assets and bonds held. Increasing asset liquidity is the only important means of resisting risks. Within this year, some Sino-US trade wars are hard to avoid. The procedure is that the Ministry of Finance first announces that China has manipulated the exchange rate, and then selects some Chinese products for sanctions, especially those that are prioritized in the United States. For example, Trump wants to revitalize the steel, coal and other industries. The overall situation in 2017 will be better than 2016. On the one hand, the index may be positive. In addition, the number or proportion of stocks that receive positive returns should be significantly better than 2016. The choice of stocks should ultimately follow several directions: one is to look at the match between valuation and profit, and the other is the subject. This year, liquidity is not very likely to drive the stock market. The policy drive is more real. 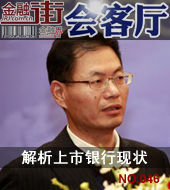 Before the 19th National Congress, if many policies were implemented, the stock market would be more favorable. The national debt market will maintain steady growth, and local financing platforms will further issue local debt. This year, local bond issuance may reach 7.4 trillion yuan, 1 trillion more than last year. The trend of the RMB against the US dollar, we expect to continue to depreciate, is expected to depreciate to 7.3 in 2017, so it is a relatively mild depreciation. I believe that the stability of the renminbi cannot be fortunate enough to hope that the dollar will weaken and that the depreciation pressure of the renminbi will exist. The interest rate of the national debt in the next ten years will rise. In the future, China’s asset prices will be good. When you talk about global investment, where are you going? There are not many places to vote for. I think that the country has formed a good rate of return. In the future, the internationalization of the renminbi will be better and it will take a long-term view. This time, inflation is definitely some distance away from us. If necessary, we must measure monetary policy in advance. This inflation is speculation in China. In fact, housing prices have not risen, at least in the short run, that is, the government's regulatory policies have been seriously affected by the evaluation of GDP performance, and then it relaxes regulation to promote GDP growth. I am not against the imposition of the real estate tax itself, but this issue must not be raised separately and must be matched with the entire system. If there is no overall reform and tax cuts, it is not a good thing to separately propose to levy a tax on people and further increase the tax burden of the people. China's economic center of gravity is itself a process of gradual weakening of the old economic growth momentum and the continual cultivation of new economic growth drivers. There will be many new investment opportunities in this process. The opening of Shenzhen-Hong Kong Stock Connect has covered a wider range of investment targets, especially for many listed companies on China's new economy, expanding the range of investors' choices. We have reason to believe that the funds will be more allocated to the stock market, but there is a problem. The central government has proposed to curb the asset bubble. Will the stock market immediately pick up this "baton"? This year's asset price boom has been rapidly rotating in various fields. At present, liquidity tends to support the stock market to move upwards, but it is difficult to predict for how long. China regards the mistakes and failures of the West as the prospect of development and is misled by Western statistics. I can't understand the US data. Instead, I use the data of the United States today to deny China's past development. I think it is basically a wrong comparison to take an aging economic structure to deny the economic structure of young people. 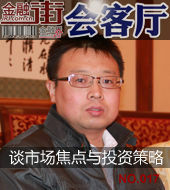 Now this round of China's economic downturn, many people think it is a micro supply side, demand side of the contradiction, I said that is the situation before industrialization, after industrialization, is a very complex network economy, all problems occur in the middle Within the structure, especially financial and industrial structures. No. 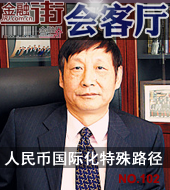 180: Wang Xianchun talks about how investors can tap gold stocks? I oppose the practice of new shares. If the market wants to really tap the value, it should resolutely avoid playing new shares. 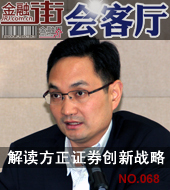 The issuance of new shares should refer to the Hong Kong market and allow for it. As long as there is a sign, a dozen or so daily limit, so the market's desire to provoke you, it depends on whether the investor has the power. By December, all the uncertainties were gone. If there was an asset price bubble, people would say that the Fed did not make a choice at the historical node. Therefore, considering it comprehensively, I personally feel that if I do not raise interest rates in December, I am too sorry for the people. It seems that one of the biggest risks now is in Europe. No. 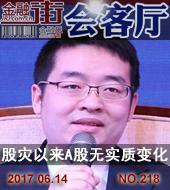 178: Yao Yang talks about what China is doing right? I think the stock market still needs to expand and expand through the registration system, expanding to about 10,000. The thickness of the stock market has increased. It is very difficult to manipulate the stock market. It is impossible to see the phenomenon of skyrocketing and plunge like last year. 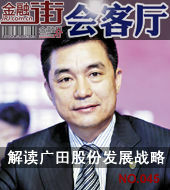 Not only the registration system reform, but also Shanghai's technology innovation board, I think it will be similar. From now on, A-shares will have a small oscillation and rise. If there is a small correction, please remember not to kill. This is a good opportunity. Going up to the 3200-3400 area will have a big chip exchange. If the market is crazy, it will leap to 3600-4000 points, please remember that the risk is coming. In the past, I always opposed the expansion of aggregate demand and structural reforms. I think this is wrong. The expansion of aggregate demand and structural reforms can be completely combined. If we can start from the shortcomings and then add costs, Maintaining growth of more than 6.5%, I think it is fully conditional and our economy will be healthier. A case in which personal guessing is mild is that the price of first-hand second-hand housing will be adjusted by 10% to 15% with the sales volume, and the hot cities in the second-tier are slightly higher than this. In the medium term, the first and second lines may turn into a new version of the 3rd and 4th lines from the average price trend. Cities with rapid housing price increases will definitely have them in the future. 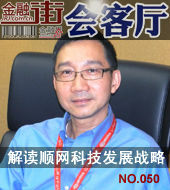 If the price adjustment is 50% or more, the issue now is not just a question of exchange rate or housing prices. Maybe we should discuss how to make a living. This discussion is actually meaningless. In which quarter the house price peaks, it is difficult to guess. The big trend may be a stage high, and house prices will not go up all the way. If the income can't keep up, the economy will decline, how much can the real estate market price rise? As long as the savings rate of the resident sector is still relatively good, the liquidity of the household sector's savings rate can be leveraged, which makes the monetary policy continue to be loose. Since there is room for relaxation, there will be a push for real estate to continue to move up. The power. Whether from the comparative advantage of dividend yield or the valuation and profitability of the bank itself, there is still room for bank stocks to continue to rise. 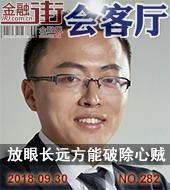 From mid-August to mid-September, this month, the focus will be on some colored and black varieties; one month after the middle and late September, we can focus on the petrochemical, chemical sector and state-owned enterprise reforms. Investing in gold is to buy an insurance. Under normal circumstances, in the overall asset allocation, holding gold 5%-10%, do not go hype. I have always been optimistic about crude oil. Even now, some people say that crude oil seems to have basically no hope. I personally think that the huge demand for crude oil in the next 10 years, it is impossible for other energy sources to completely replace it. The problem of asset prices does not mean that the overall economy has a bubble, but the intensity of this problem needs to be highly valued. The core of the asset price bubble problem should still be too serious in the current financial situation, because the current real economic rate of return is very low, but the financial sector's rate of return is still very high. 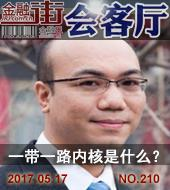 In the current economic situation, why should we emphasize the righteousness, strength, and state-owned enterprises? This may be related to the internal and external economic environment. In addition to our economic system, one of the most realistic reasons is the current domestic and international market competition, which also requires us to be stronger, better, and bigger state-owned enterprises. The event of bond default will continue to emerge. But still can find some opportunities. The first is the expectation of excessive pessimism in the credit bond market; the second is the simulation based on the probability of large numbers to make junk bonds. Of course, this is a professional investment institution. For ordinary investors, you should be cautious. If the parties deal with it in a friendly and objective manner, the South China Sea issue can be relatively stable and the impact on the financial market is relatively small. If the situation escalates, it may have a negative impact on the global financial market and the real economy. For example, the global stock market and the commodity market have further declined. No. 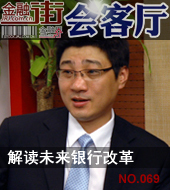 166: How far is Wang Jiachun talking about the financial crisis? China's housing price bubble is the highest in history. The central bank printed the banknotes to promote housing prices, and the central bank printed the banknotes. If the third quarter falls, there will be a multi-year speculative market from the end of the fourth quarter to the beginning of next year. In the end, the run still has to run away because the market adjustment is far from over. China has done a lot of work in promoting the market to be more reasonable and perfect, but the color of administrative intervention is still too strong. The market mechanism is not perfect, and the most prominent point at present is the limitation of the short-selling mechanism. 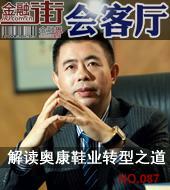 The function of supervision is not to guide the market's rise and fall, but to ensure fair competition in the market. Housing prices in first-tier cities in China are mainly determined by three variables: first, income levels; second, the number of immigrants entering; third, land supply. There is no problem with the mechanism determined by the housing price itself. What is unreasonable? It is unreasonable to restrict land supply in places where population growth is fast. If reforms are well implemented, by 2050, China's per capita GDP will exceed 50,000 US dollars, which is to develop high-income countries in the country. At that time, it is unlikely to maintain a growth rate of 3% to 4%. Just according to our ability to grow, that is, the potential growth rate, can cross the middle income trap. The entire shipping sector is a structural opportunity for shipping stocks in the secondary market. I don't think I will look at it again in the short term because the volatility is too great. In terms of individual stocks, it is necessary to look at the domestic or US stocks, which one is the shipowner, that is, the underlying stock. The value of the investment must be subdivided rather than simply looking at the overall concept stock of shipping. From the total amount of A shares, there is no big profit. One bad thing is China’s debt default. However, there are some structural opportunities. What I personally value most is the structural benefits brought about by the changes in China's industry. In 2-3 years, if you want to invest in stocks, only two can make money, technology stocks and mergers and acquisitions. The future market will be systematically weakly balanced, but the structural differentiation characteristics are more obvious. In general, there is a big bubble in the stock market that is not established, but the structural bubble factor should exist. Second-line blue-chip stocks are in line with the value-investment concept in terms of risk-to-income ratio. Debt is getting higher and higher, and debt-to-equity swaps are needed, mainly due to the financing structure. As long as the real economy is done, you don't have to worry about stocks falling. In terms of the ratio of debt to GDP, the leverage in the strict sense cannot be removed. We hope that the leverage will be more balanced. We judge that the peak population is in 2022 and 2023. I personally think that the possibility of housing prices reaching the turning point in 2018 is very high. The price itself is actually a mechanism for automatically regulating the size of the urban population. In the medium to long term, China's real estate as an investment may not be a very good choice. At present, it is more important for monetary policy to stabilize growth, so it is not obvious to tighten, or to ensure moderate growth. For example, the growth of M2 is 13% at the beginning of the year. I estimate that the next two or three quarters should maintain similar strength to help stabilize the Chinese economy and prevent a sustained decline. The main resistance of the supply-side reform has three aspects: one is the huge energy, environmental and space pressure constraints; the second is the “middle income trap”; the third is the severe challenge for the largest developing countries to bridge the “dual economy” toward common prosperity. At present, China's economy has bottomed out, and it is likely that there will be a staged bottom in 2016. China's economic growth is declining, but from a global perspective, China's economic growth rate is relatively high even at 5.5-5%, so I feel that foreign countries are too bearish on China. The entire second quarter is a good window for equity and risk assets. The return on investment of China's real economy is lower than the cost of financing, that is, the entire economy is growing in Ponzi. A-shares fell more than a thousand points, and fell by half from 5000. We think that A-shares can be allocated from the perspective of large-scale assets, will it fall back to 1000 points and 2000 points? We don't think so. China is now very liquid, and stock valuations have moved up. Therefore, we are more inclined to see more A shares. A big structural problem in China is economic imbalances, and overcapacity is very serious. Environmental pollution is also an important issue. 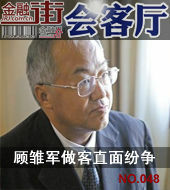 China is in a dilemma and has many problems and challenges. Another structural problem is that the population is aging, and aging has caused China's demographic dividend to disappear, which will lead to a reversal of positive phenomena. In 2015, the total amount of asset securitization products issued in China has become the number one in Asia. The core of product and structural design is to understand the needs of investors. Therefore, at present, China's asset securitization market urgently needs to make breakthroughs in product supply innovation, optimize inventory assets, and truly meet the needs of investors and serve the real economy. I think this round of economic crisis is likely to go in a similar direction in 1998, rather than in 2008, the risk of crisis in emerging markets is relatively large. Now that the economy is transforming, it is not necessary to be too pessimistic. After all, the momentum of the economy is still there. I think that the appreciation of the renminbi is difficult to sustain. It will depreciate from the market supply and demand. Now it is because it is regulated. . Anyone who step on the accelerator and step on the brakes is not a supply-side reform; any improvement in engine efficiency is a supply-side reform. The final exit of real estate to inventory is on the demand side; the way to solve capacity is not to pull over the overcapacity enterprises, and should foster new supply and new power. Based on the judgment of the US economy, the high probability event is that the Fed raises interest rates once this year. China’s debt problem is still deteriorating. The essence of China’s economic debt problem is that China’s return on investment is too low. Debt-to-equity swaps only change the injured party from the debtor to the government or the bank. There is no difference, so the issue remains to be seen. solve. From the perspective of the development of the A-share market, the downward space is small, but the degree of rebound depends on investors' confidence in the quality of economic growth. Equity investment is not entirely an investment in the stock market. It is likely to open up another channel, including debt-to-equity swaps, PPP forms of company joint ventures, and asset securitization, to provide investors with direct investment channels. In the future, the stock market will be in a stable and moderate pattern, but the opportunities are still there. These changes in China's ongoing market securitization rate will certainly bring some opportunities to the market. I think at this point, from the perspective of pursuing profit and stability, the A-share allocation may be more secure and profitable than the configuration of the house. No. 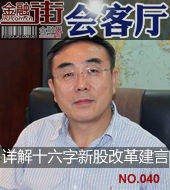 146: Huang Jianhui said that A shares can reach 4000 points this year. The two major focuses of the 13th Five-Year Government Work Report are the improvement of people's livelihood and ecology. The problem in China is structural. The government can use market-based means to solve the problem of commodity housing inventory by combining household registration reform. Recently, the stock market has oscillated sharply. This year, it is predicted that A shares should be at 4,000 points, plus or minus 200. 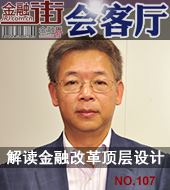 The reform of the fiscal and taxation system is a hot spot of social concern. For a tax, I think it is necessary to raise it to more than 5,000 yuan; China's capital market is not well developed, government regulation is not perfect, and the market's main speculative atmosphere is too strong. The direction of the capital market is to develop direct financing. I will not say how many years later, 10,000 points are no problem. China's economy is still in the midst of a difficult bottoming and bottoming process. With all the global assets falling sharply, gold is the best returning asset in the world. China's economy is transforming into consumption, services, and high technology. Therefore, investors should invest in the future direction of health, consumption, and high-tech innovation. The acceleration of short-term first-line property prices may not be a fear of inflation, but a fear of deflation and depression. Funds are looking for the last refuge under the system (under capital control, funds cannot flow out of foreign countries), so the housing prices in the first-tier property market are fast. A certain degree of increase is also a manifestation of disappointment in risk appetite. The risk of A shares remains after the Spring Festival. When the economy goes down, if the pension enters the stock market, it must enter slowly. On the other hand, it is a market behavior, so it is necessary to find a suitable time for the stock market. At a time when market risks are exploding, when credit risk begins to come, it is not a good time for pensions to enter the market. In 2016, the overall risk may be a bit larger. At the same time, the economy is still undergoing structural adjustment, and the economic growth rate is still going down. If the RMB has depreciation pressure, it should be said that it does not have a big “bull market”. I think there should still be some structural opportunities. In 2016, the market may be a slow-moving, shock-up market, and there are relatively many opportunities for structuring. In 2016, we can focus on some growth stocks with certain growth, as well as some blue-chip stocks with relatively stable performance, and we can get relatively good returns. In the current economic environment, I feel that the stock market may be forced to come out of the Mavericks market with low interest rates. If the renminbi is really devalued, it is really the starting point for the big bull market. Because the big bull market still needs the fundamental support of the enterprise, the performance of the enterprise is good, the performance of the enterprise is not good, and there is no big bull market. No. 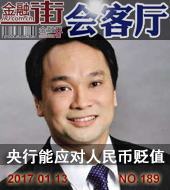 138: Liang Hong talks about the capital market to "clear the enchanting"
Some of the more demon things since 2013 are not completely solved now. If these phenomena are only because some retail investors, or these investors do not understand, there is not much problem. But it won't be just that. We know in this market that there are some things that are not very standard. Recently, I feel that there are some subtle changes in the overseas market. The market has a strong expectation of raising interest rates from the Fed in July. After September, it suddenly felt that it will not raise interest rates during the year. The market is expected to change from being too pessimistic to being too optimistic. But from the recent performance of the Fed, it does not mean that it will not raise interest rates. I think that A-shares should have a relatively large prosperity like the US stock market. If they rise for five or six years, they need fundamental support, that is, the macro-economy will go out of the valley and then thrive, so that the listed companies have improved their business conditions. Then the profit began to improve. Long cattle are performance cows. I think China's stock market is about 3,000 points, which is a relatively reasonable value range. The feeling of 4,000 points is that valuation is difficult to support with fundamentals. The current price is roughly close to a reasonable valuation. If there is a sharp drop in the current price level, I think many stocks have investment value. We have also seen that in some other countries, in special circumstances, when the stock market crash or the stock market is unusually volatile, we have also taken certain measures against stock index futures trading, such as limiting the opening of positions. We have also taken these measures in this wave of stocks. But you said that turning it off and blaming it on it, I think it is a bit too much. In terms of the impact of the real economy, in general, the trend of China's stock market is not highly correlated with consumption, investment and economic growth. Instead, the sluggish real estate market has a direct impact on investment and GDP growth. I believe that the current stock market crash will not drag down economic growth. The high valuation of the A-share market depends on two points, one is liquidity and the other is credit. The liquidity of the first A-share market is very good, so the liquidity premium is relatively low. Second, the credit premium of our A-share market has always been relatively low. Although it has an exit system, there are few cases of delisting. Looking forward to the future, I believe that with the steady growth of the second half of the year, such as the growth of infrastructure investment, the promotion of stable export measures, the replacement of debts, and the support of consumption, etc., the Chinese economy will be more than the first half of the year. Better, this can provide fundamental support for the A-share rebound. My opinion is that we must work hard to gradually restore the market to normal operation. You can check it, but the purpose of the investigation is to prevent what should be done in the future, and then gradually come out and restore the power of independent market trading. Finally, the government wants Really believe in the laws of the market and the laws of the market. If we look at the second half of the year or the next year or two, we will not be too optimistic in the medium and long term. Because the Chinese economy is now in a new normal adjustment period, it is still a three-stage superposition process. Therefore, after a short-term rebound, the economy may continue to continue the process of bottoming out. 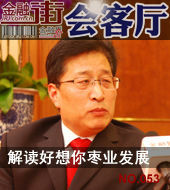 Ren Zhiqiang pointed out that the integration of Beijing-Tianjin-Hebei is to evacuate Beijing's population and avoid "urban diseases" in big cities or mega-cities, that is, road congestion. However, from the perspective of international experience, the emergence of “urban disease” is not due to the large urban population, but to problems in urban management and road systems. Since July 9, the A-share liquidity crisis has been alleviated, and the market has ushered in a rebound that has continued for nearly a week. Many parties have won a staged victory. However, on the other hand, it must also face up to the fact that most of the current A-shares, especially the GEM valuation, are still too high. Can the national team endorse such a high valuation? After the bailout, we should see more after the rescue. In the next step, we should look at our future predictions, or the Chinese economy and financial markets for several years. It is very important here that we should not squander food, we should firmly implement our national financial reform and other economic reforms. From the source of funds released by the Bureau of Statistics every month, the growth rate of investment funds is still lower than the growth rate of investment in the same period. That is to say, the speed of financing of real estate investment projects from various channels is still not up to the project. speed. Investment is the main engine, and the continued slowdown in investment will lead to continued weakness in economic growth. 2015 is the closing year of the “Twelfth Five-Year Plan”. Some financial reforms that have been of great concern to all parties in the past five years are likely to be introduced from 2015 to 2016, such as interest rate down and interest rate marketization. Of course, everyone is also concerned about the internationalization of the renminbi. One constant fact is that the renminbi is certainly one of the major currencies of the world. Up to now, the number of brokers approved for the Internet securities business has reached 55. The layout of the Internet financial market should be the concerted action of brokers in recent years. Of course, all financial institutions that try to stay out of the way and ignore the influence of "Internet +" may become "injured." In 2015, the downward pressure on the Chinese economy remained undiminished. Will RRRR, interest rate cuts, local debt swaps, and Chinese version of QE be launched? Every move of macroeconomic policy affects the sensitive nerves of all parties. 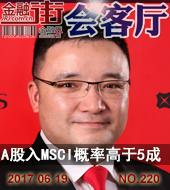 "Finance Street Living Room" invited Pan Xiangdong, chief economist of Galaxy Securities, to explain the factors and policies affecting the trend of A-share bull market. Deepening the reform of public hospitals, improving medical insurance, and encouraging doctors to practice at the grassroots level are important keywords. Promoting the development of service industries such as health and old-age care is highly anticipated by the transformation and upgrading of China's economy under the new normal. The 13th Five-Year Screen is about to open, where is the future of medical reform? What other investment opportunities can be tapped? As the top priority of economic restructuring, the direction of industrial adjustment affects tens of millions of enterprises and individuals. How will industrial adjustment be carried out in 2015? Where will the new economic engine that replaces real estate come from? What kind of development opportunities are there in the process of upgrading? What kind of structural adjustment signal will be released when the two sessions meet? In 2015, China, which entered the new normal of economic development and struggled to transform, attracted more attention and doubts at home and abroad. What is the GDP target and what will be the macro policy? Where is the industry focus? What are the hot spots for reform? The answers to many questions will determine the direction and quality of China's economic development. In 2014, global commodity prices fell sharply, with crude oil prices falling from nearly $100/barrel at the beginning of the year to $50/barrel at the end of the year. Since the beginning of 2015, it has been falling and it has been showing up. What is the reason behind the bleak commodity? What will happen in the future? When the economic growth rate becomes inevitable, when innovation and transformation become the key words of society, when the Internet becomes the wings that carry dreams, what should SMEs that have already carried forward? How to catch the Internet express? How to carry out innovation in the traditional field to avoid the fate of being shuffled? At the end of the year, the oil price plummeted and the ruble depreciated... The global economic black swan incident occurred frequently. As the Chinese economy becomes more connected to the global economy. What is the impact of these black swan events on the Chinese economy? Where will the global economy go in 2015? What are the prospects and risks of China’s economy going global, especially capital output? How should we understand the "new normal"? What is the deep motivation behind it? How serious is the economic imbalance under the new normal? 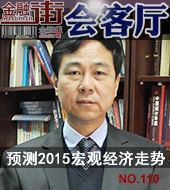 How can macroeconomic policies be formulated in 2015 to ensure stable economic growth? 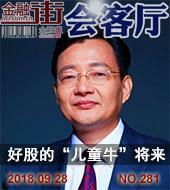 "Financial Street Living Room" invited Liu Wei, the executive vice president of Peking University and famous economist, to interpret the bottom line of China's economy under the new normal. The "new normal" of the 2014 Central Economic Work Conference officially rose to the height of national economic decision-making. Adjustment and reform are the key words. 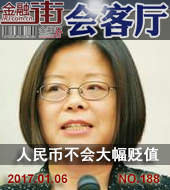 How can we adjust to achieve a win-win situation of "stable growth" and "adjustment of structure"? 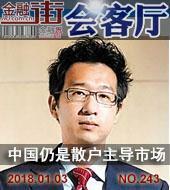 This issue of "Financial Street Conference Room" invited the famous economist Hai Wen to explain the economic situation and reform direction, and analyze the new economic growth point in the future. In 2014, the stock market began to erupt after many years of silence. In less than half a year, it rushed to 3,100 points from 2000 points. In the macro environment where the current growth rate is continuing to decline, what is the source of the stock market's rise? Is the current Chinese economic situation a support for the bull market? Is this round of upswing a flash in the pan? Or the beginning of the future bull market? What year is 2015? We have already said goodbye to the double-digit growth for many years, why we still can't get the intoxication brought by the successful experience of the year. What is the state of the Chinese economy? The future is continuing to decline? Still returning to high-speed growth? What changes will happen to the macro policy? Is it continuing to tighten? Still strengthen the stimulus? The Internet finance and financial Internet are constantly developing and integrating. Banks, P2P platforms and small loans reflect the integration trend of overall Internet finance. What will be the future development of the industry, and who will become the mainstream of the market in 2015 for traditional financial institutions and emerging Internet finance companies? 2014 is destined to be an extraordinary year for China. This year was called the first year of reform, and many reforms in the area of ​​difficulty and difficulty were comprehensively promoted. In this year, the Chinese economy has entered the "new normal", the growth rate is shifting, the structure is adjusting, and the previous stimulus policies are digesting. The economic situation under the three phases is tense and delicate. At a time when Internet finance is booming, traditional financial institutions are also striving to transform the Internet. How will they embrace the raging Internet wave? 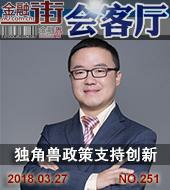 "Finance Street Living Room" invited Huang Zhipeng, the general manager of the e-commerce department of Hengtai Securities Co., Ltd., to talk about the Internet innovation of brokers. When the in full swing reform gradually entered the deep water area, how can “Keqiang Economics” lead the Chinese economy to achieve historic changes? 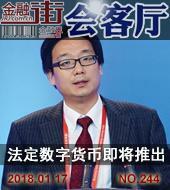 The high-profile financial reform should be carried out in the "Financial Street Living Room" invited by Huang Yiping, deputy dean of Peking University National Development Research Institute, to deeply analyze the top-level design of "Keqiang Economics" and financial reform. Since the end of July, the Shanghai Composite Index has risen more than 300 points, nearly 14%, and a round of rebound has arrived. There are different opinions on the driving force of this round of market. 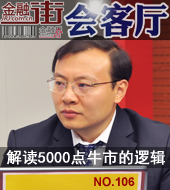 In this issue of "Financial Street Conference Room", Ren Zeping, the chief macro analyst of Guotai Junan, talked about the bull market logic behind 5000 points and explored the deep dynamics and future trends of this round of market. In 2014, the reforms of the financial, state-owned enterprises, household registration system, fiscal and taxation, and government... have been comprehensively promoted. 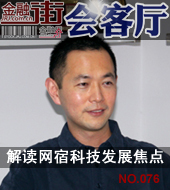 Now, the reform process is over halfway, and how is progress? How's the effect? 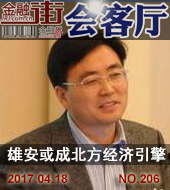 In this issue of "Financial Street Conference Room", Professor Yao Yang, Dean of the National Development Research Institute of Peking University, will analyze the current reform situation and explain the new normal of China's economy. In 2014, the reforms of the financial, state-owned enterprises, household registration system, fiscal and taxation, and government... have been comprehensively promoted. Now, the reform process is over halfway, and how is progress? How's the effect? 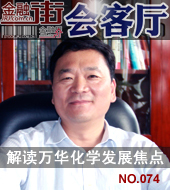 In this issue of "Financial Street Conference Room", Professor Yao Yang, Dean of Peking University National Development Research Institute, analyzed the current reform situation and explained the boundary between the market and the government. No. 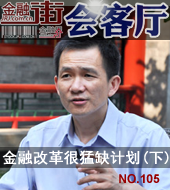 103: Zhang Zhuoyuan explains the pain of state-owned enterprise reform? As the most difficult "hard bone" in China's reform in the past 30 years, how can the reform of state-owned enterprises be revitalized? How does mixed ownership “mix” without chaos? How does the SASAC manage capital? 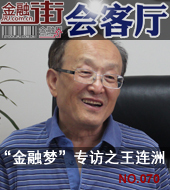 In this issue of "Financial Street Conference Room", I interviewed Professor Zhang Zhuoyuan, a member of the Faculty of Social Sciences, and the famous economist. What is the current pain of state-owned enterprise reform? 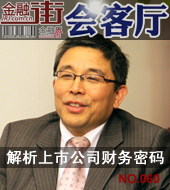 In 2014, the internationalization of the RMB was accelerated. 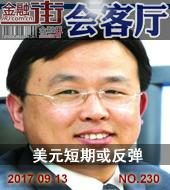 This issue of "Financial Street Living Room" interviewed the chief economist of Bank of China, Professor Cao Yuanzheng, a famous financial expert, detailed the ins and outs of RMB internationalization, introduced the latest development of RMB internationalization, and explained the special path of RMB internationalization. 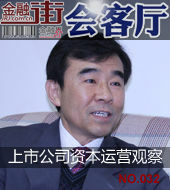 This issue of "Financial Street Conference Room" invites Shao Zhibao, deputy governor of China Postal Savings Bank, to explain the development goals and progress of the three-agricultural financial services of the Postal Savings Bank, explore the difficulties and priorities of rural financial services, and look forward to how to combine Internet finance to create a common Hui Finance's sustainable development path. The increasingly frequent global economic crisis has tested the tolerance and response of China's economy and tested the decisions and effects of China's macroeconomic regulation and control. 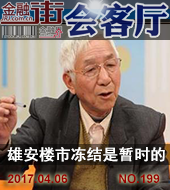 This issue of "Financial Street Meeting Room" interviewed members of the Chinese Academy of Social Sciences, and the famous economist Professor Wang Tongsan elaborated on the experience of macroeconomic regulation and response to the crisis. He was one of the first scholars to propose the establishment of a Chinese capital market. 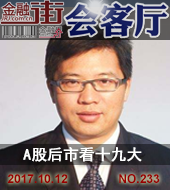 Whether it is the drafting of the Securities Law or the breaking of the state-owned enterprise shareholding system, it has condensed his efforts. 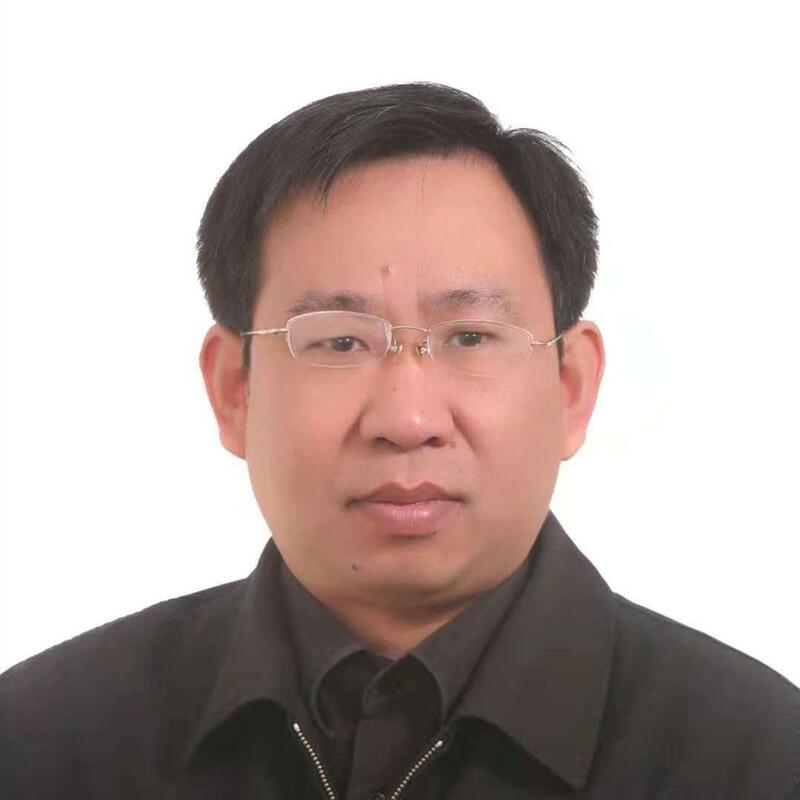 "Financial Street Living Room" invited Professor Cao Fengqi, director of the Center for Finance and Securities Research at Peking University, to discuss capital market reform and financial regulatory system reform. In 2014, China's economic development came to a key “turning point” and began a long-term downward adjustment phase. Many contradictions that have been concealed by high growth have also appeared one by one. "Financial Street Meeting Room" invited the State Council counselor and famous economist Mr. Xia Bin to discuss the problems of China's economy. In recent years, the rapid rise of China's housing prices has made the world feel awkward. 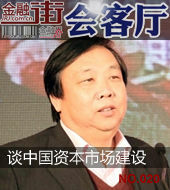 The real estate economy has become the leading industry of the Chinese economy without knowing it. What factors are driving the rapid rise of housing prices? How is the cost of housing enterprises constituted? What is their profit margin? In 2014, the real estate industry was destined to be a year of uncertainty. People can't help but ask: Is this a precursor to the bursting of the bubble, or is it necessary to adjust? Is the turning point already present? How to decapitize and defoam? How to face the financial difficulties? In any case, the road to housing transformation is imminent. 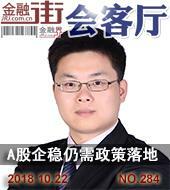 The world today is undergoing profound changes, uncertainties and uncertainties are increasing, the Chinese economy has also reached a critical turning point, economic growth has slowed down, and the real estate market has no prospects. The stock market has experienced a long bear market of 6 years. Can you usher in the hope of a bear? What opportunities can Chinese residents have in investing in financial management? In the context of China's "market coal, planned electricity" policy, how does Zhangze Power reorganize itself with Tongmei Group to secure coal supply? In the process of coal-electricity integration, what setbacks did Zhangze Power experience? 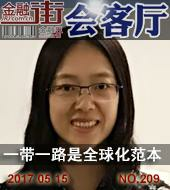 How will Zhangze Power, after the reorganization, integrate existing resources? "If you want to make a bold test, you have to break through the current laws and policies, and you must break through the current laws and policies. That is called reform. If you need to report everything, ask for everything, and reform can't advance. We used to say that we cross the river by feeling the stones. 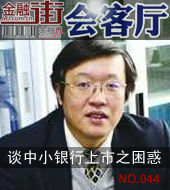 Now, even the stones can't be touched, so now we must have more courage to push forward the reform." The blank of Hainan Island's concrete market has created a group of local enterprises such as Hainan Ruize, but with the country's regulation of the real estate market and rising raw material prices, the industry is facing the danger of shuffling. How is Hainan Ruize in such an environment? Growing up and growing? How does it step by step in the local area to get out of the island? 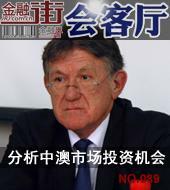 At present, China and Australia are negotiating on the China-Australia Free Trade Agreement. For China and Australia, which have strong economic complementarities, what investment opportunities will the market open up? 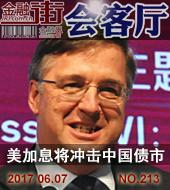 On November 19th, the financial sector “Financial Street Living Room” interviewed Mr. Alan Oster, chief economist of the Australian National Bank, who was visiting China. In the later business development, they found that China's digital music market is not like the foreign market, so the company changed from copyright management to the agency market. As a starting point, China Digital Culture Group began to develop into sports and entertainment industries. 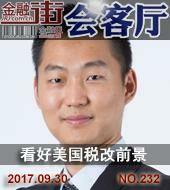 This issue of "Financial Street Conference Room" interviewed Mr. Xu Dongqi, Chief Executive Officer of China Digital Culture Group. 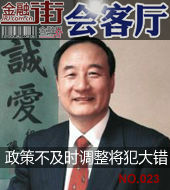 In 1988, Wang Zhenyu founded Aokang with a start of 30,000 yuan. In 2006, domestic shoe enterprises that went to foreign markets were subject to EU anti-dumping sanctions. 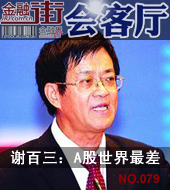 In November 2012, Aokang and other domestic shoe enterprises achieved the final victory. From a private enterprise to a listed company, what are the difficulties and opportunities that Wang Zhenduo and Aokang have experienced, and how will Aokang make a change? BOE has been shrouded in national pride, and the company’s losses and constant financing have made the company controversial. The 46 billion financing launched in July 2013 is pushing it to the forefront: what kind of strategy and planning is behind the BOE financing? 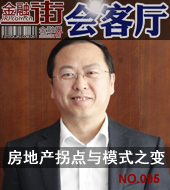 In this issue, “Introduction to the Listed Companies in the Circle” approached Chen Yanshun, President of BOE Technology Group. What impact does the US-Japan quantitative easing policy have on the world? What are the underlying reasons behind the establishment of the BRICS Development Bank and the foreign exchange reserve? Will the range of volatility of exchange rates in emerging countries expand? What are the factors that affect the balance of China's financial security system? Mr. Zong Liang, Deputy Director of the Institute of International Finance of the Bank of China, explained this. Is the reform of the income distribution system simply raising wages and reducing personal income tax? Has the reform encountered resistance from interest groups? 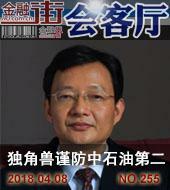 This issue of "Financial Street Conference Room" invites Mr. Wang Xiaolu, Deputy Director of the National Economic Research Institute of the China Reform and Development Foundation, to interpret it for everyone. What impact will the Fed’s exit from QE have on China's financial market? How long will it take to build the world currency system of the US dollar-euro-renminbi alliance? 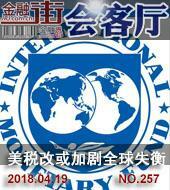 What is the effectiveness of the RMB international reform measures? 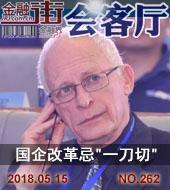 "Financial Street Living Room" interviewed Mr. Mundell, winner of the Nobel Prize in Economics. No. 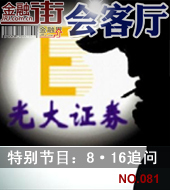 081: "8•16 Everbright Securities Oolong refers to the incident"
Is the premise of the implementation of interest rate liberalization already in place? In the critical period of China's economic transformation, can interest rate liberalization rationalize the capital pricing mechanism? How will interest rate reform affect China's financial industry reform and banking development? What impact will interest rate liberalization have on the “financial dream” of the people? What adjustments are currently facing the Chinese liquor industry? How do ordinary investors try to invest in high-end liquor? 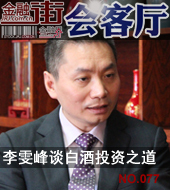 This issue of "Financial Street Living Room" invites Li Wenfeng, President of Shanghai International Wine Trading Center, to discuss the latest liquor market situation and investment strategy of high-end liquor. Why is it so vibrant? Does it also have concerns and confusion? 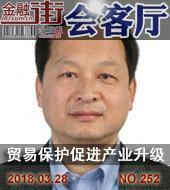 Liu Hongtao, vice president of NetScience Technology, analyzes the mysterious “Internet Behind Heroes” CDN industry for netizens and investors, and also brings us to understand the trajectory, status quo and future of NetScience technology products development. 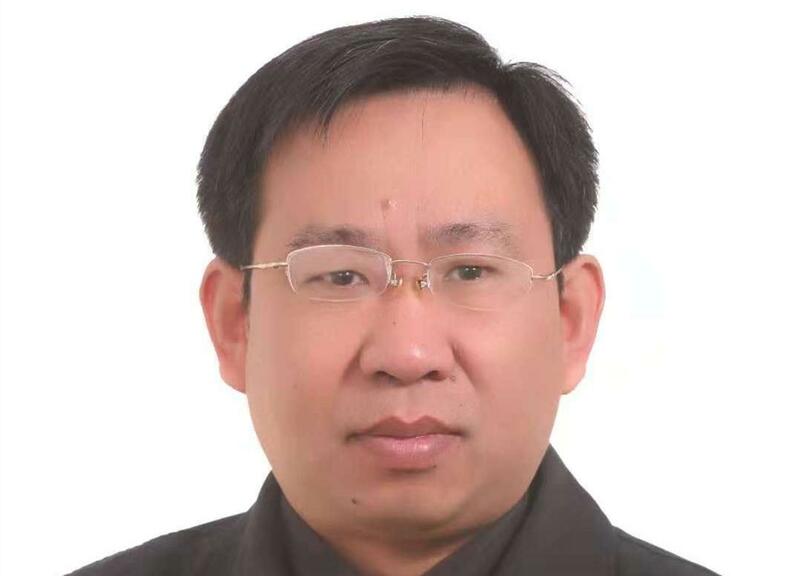 What is the strategic layout of China Resources Financial Control? How does the banking sector achieve a surge in performance? What kind of genes does it have for the unique industrial background advantage? Horse racing is getting worse, how does it maintain long-term competitiveness? 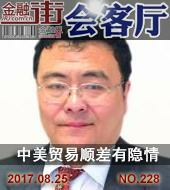 Jiang Wei, chairman of China Resources Financial Holdings and chairman of Zhuhai China Resources Bank, was interviewed by guests. In the review of “The Capital Market Practices the Chinese Dream”, we found a company that has been paying dividends every year for 12 years, and it has never been an exception. Up to now, its total dividend amounted to 6.063 billion yuan, which is 13.44 times of the funds raised at the time of listing; it is Wanhua Chemical located in Yantai, Shandong. What kind of duties and responsibilities do accounting firms assume in listed companies? What impact will the long-term financial self-examination of listed companies bring? What risks should be warned in mergers and acquisitions? What are the reasons for the failure of Chinese companies to list overseas and what is the solution? It is a young port. In the fierce competition, the average compound annual growth rate has reached 35.44% for six consecutive years. It is in the capital-consuming industry, has the courage to innovate financing mode, and resolutely chooses short-term non-dividend; what is the benefit of this year? The means of improvement? How is the fundraising investment going? What is the pressure on debt repayment? Needless to say, rural finance is still a weak link in China's financial system. What is the current status of the rural financial system? How is microfinance balanced between commercial and public welfare? Where should the rural credit cooperatives and provincial association reforms go? What opportunities will the new urbanization strategy bring? The capital market is an important place to practice the "Chinese Dream", and the fund is one of the links. However, the continuous decline of the stock market led to fund losses. The industry's continued downturn forced many star fund managers to move to private equity funds. How should the Chinese fund industry be revived? How serious is the long-term regulatory problem in the capital market? Faced with the wave of technologies such as big data and cloud computing, many traditional industries are being changed. How should the Chinese banking industry, which has always been “conservative”, face the new wave of technology? 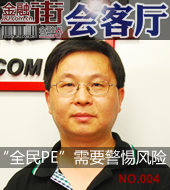 This issue of "Financial Street Conference Room" invites financial industry IT system management expert, vice president of Tongxin Power, Yang Xinge to interpret. Since 2012, there have been new changes in the development of domestic financial institutions: brokers have blew the horn of counterattack in the marginalized situation, and innovation and transformation are the fertile ground for hope. 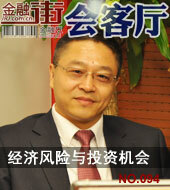 Founder Securities, headquartered in Hunan, is at the forefront. How will it interpret innovation? What is differentiation? As a "black horse" in the video industry, LeEco, a listed company on the GEM, has also stirred up the capital market. What is the "super TV" subversive industry? How much imagination does LeTV Eco give investors? How will the balance of industrial chain integration and capital operation be balanced? Renovation is a fierce and fragmented industry. 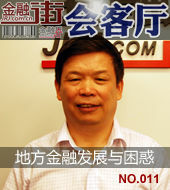 Although it is the industry leader, Jinluo has a market share of less than 1%. 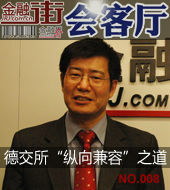 How does Jinjin, in such a diversified industry, ensure that profits will increase by 50% for many years? Become an industry leader? No. 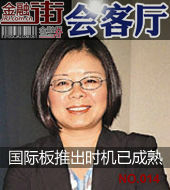 065: Ye Tan talks about the reality of "financial dream"
In this issue of "China Dream, Financial Dreams - Looking Forward to China's New Ten Years of Finance", specially invited famous financial observer and commentator Ms. Ye Tan shared the "financial dream" in her heart and interpreted financial reform, China's economy, A Stocks and other topics. 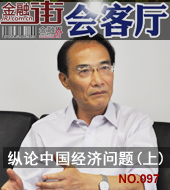 Although it is over 50 years old, Liu Jiren, the chairman of Neusoft Group, is still interested in many “very trendy” technology products. He personally orders air tickets and hotels through mobile phones; he spends a lot of money every month to purchase mobile applications. 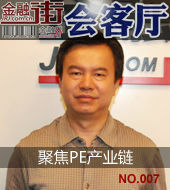 How does he and his Neusoft Group innovate? 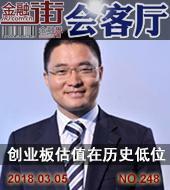 This issue of "China Dream, Financial Dreams - Looking Forward to China's New Financial Decade" interview, invited the famous financial analyst Mr. Niu Wenxin to take us to look forward to the opportunities and challenges of China's financial reform, and to interpret monetary policy, international financial strategy, real estate investment, etc. topic. 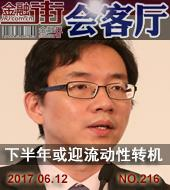 In this issue of "China Dream, Financial Dreams - Looking Forward to China's New Financial Decade", Mr. Huang Yuanshan, a well-known economist in Hong Kong, was invited to take a look at the opportunities and challenges of China's financial reform, and to understand the bond market reform, A-share downturn, wealth management products. Hot spots such as new regulations. 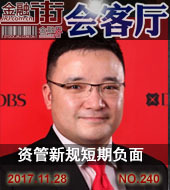 In this issue of "China Dream, Financial Dreams - Looking Forward to China's New Ten Years of Finance", Mr. Yang Zaiping, the full-time vice president of the China Banking Association, will take us to look forward to the development and dreams of China's banking industry and interpret local and shadow banking. Hotspots such as wealth management products. From Greenland to Wanfushengke, why are the financial problems exposed by listed companies getting worse? What is the significant increase in the financial costs of listed companies in 2012? What is the accounting logic behind the physical dividends sent? 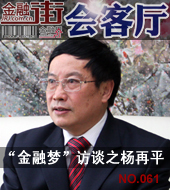 This issue of "Financial Street Conference Room" invites Jinghua Tianchuang President Qiu Chuang to interpret. After experiencing a slow bear journey, the A shares at the end of 2012 re-invested investors' hopes. However, the repetition of 2,300 points in the first quarter of 2013 is also confusing. 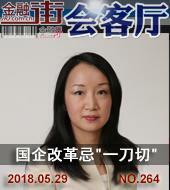 We invite Ms. Yang Ling, President of Starstone Investment, to talk about her answer and look forward to the ups and downs of private equity funds in A shares. 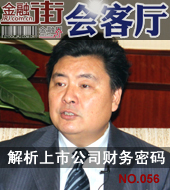 What is the significance of the introduction of the "National Five Articles" before the two sessions? 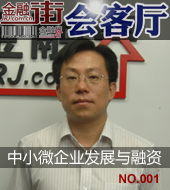 After a few years of sharp rise in the Chinese real estate market, what is the current range? How to return housing to residential properties? 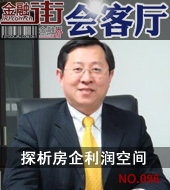 This issue of "Financial Street Conference Room" invites Mr. Yi Xianrong, who is known as "Real Estate Civilian Spokesperson", to interpret this. .
What is the most mysterious financial department that is closely related to the performance of listed companies? How do people in the industry view investors' doubts about the trust of listed companies' financial reports? Under the strictening of financial auditing, how should listed companies release pressure and take less detours? 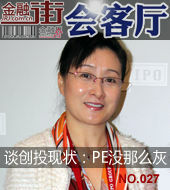 This issue of "Financial Street Conference Room" invited Ms. Zou Zhiying, a financial strategy expert, to interpret this. What is the real situation of the listed company's financial report? How can small and medium investors understand it? What is the reason for the pressure on financial companies to put pressure on listed companies? 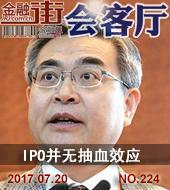 How to treat large-scale financial self-examination and withdrawal of IPO enterprises? "Financial Street Meeting Room" invited Deloitte China Jin Jian to interpret this. Lianchuang Optoelectronics, headquartered in Jiangxi, is a key high-tech enterprise in China's Torch Program and one of the leading companies in the LED market for LED and optoelectronic cables. 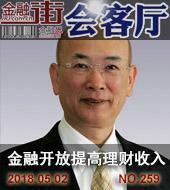 For more than ten years since its listing, Lianchuang Optoelectronics has achieved fruitful results. 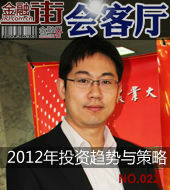 However, with the fierce competition in the industry, how will Lianchuang go out of the “winter” of the LED industry? Along with the development of China's smart city construction, a number of innovative companies serving this are also booming. Yinjiang, which was established in 1992, is one of the best. At present, it has developed into a comprehensive smart city service provider with solutions such as smart healthcare, smart transportation, and smart buildings. I really want you to realize the industrialization of agriculture in a niche market. I wonder how your jujube industry will enlarge the small industry and gain the favor of the capital market. What are the future layouts in terms of products and markets? 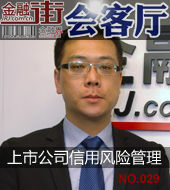 In this issue of "Financial Street Meeting Room", I would like to invite you to the deputy general manager of Jujug Co., Ltd., Shi Juling, for your interpretation. At present, China’s stock market continues to be sluggish. What is the reason for the “popularity” of the capital market? How should China revitalize the capital market? In the face of the “circle money” nature of most listed companies, how do we choose better listed companies? The victory of the 18th National Congress is closed. What are our expectations for the capital market? . 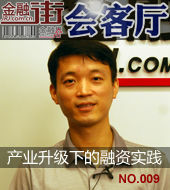 In 1997, it started with a small dream of 50,000 yuan a year. 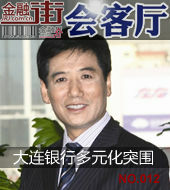 Today, it is the stage for the dream of millions of small and medium-sized enterprises. 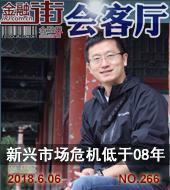 In 2006, he knocked on the listed bell in the Shenzhen Stock Exchange and created a number of "China's first". It has become an example for the latecomers to make progress. In 2012, the Chinese economy has been twisted and twisted. How can “business” become better and better? It was established in 2005. With its unique business model, it has occupied half of the seemingly niche market in China's Internet cafes and won the favor of Internet giants. After the listing in 2010, it has been in the GEM market for two consecutive years. The high profit growth has demonstrated the unique growth path of high-tech companies in a niche market! It is embarking on a new journey in its challenges: what is the solution between state-owned and private-estate shareholders? How does the "100-year-old billion" strategic change advance under the sinking and heavy burden? How to break through the limitations and bottlenecks of the development of the paper industry? 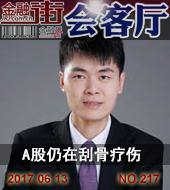 Can an airborne soldier, known as the "Star of Capital Operation", smoothly integrate and lead the company to advance? 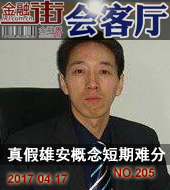 Gu Chujun came back, and after 7 years in jail, he wore a high hat and a fierce report of "the grass people are completely innocent." Is the Kelon incident awkward? What is behind Gu Chujun’s “Crying”? Where is he going next? 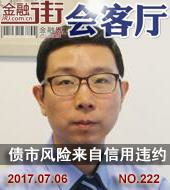 On September 21, Gu Chujun was on the financial industry website to face this emotional life. 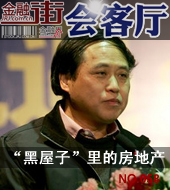 Where did Tan Xuguang’s self-confidence come from? How does Weichai Power dance with Goldman Sachs, which is known as the “sniper”? What is the inherent “motivation” of its global strategy? What new members will be on the capital map? 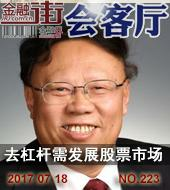 "Transformation and breakthrough - the financial sector entered the listed company" interviewed Tan Xuguang, chairman of Weichai Power. Is worrying about bank bad debts redundant or necessary? What is the impact of interest rate liberalization on its profits? How does the "corruption storm" evolve? Why is the listing window for small and medium banks still closed? Is the shadow of bankruptcy coming down? 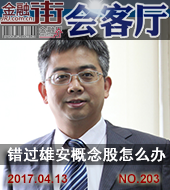 This issue of "Financial Street Conference Room" was invited by Zhao Xijun, deputy dean of the School of Finance and Finance. Real estate regulation is relaxation is tightening? What are the pressures and opportunities for listed companies in building materials? What is the decisive factor for the strong competitors in the period of rapid development of the industry? Under the weight of the cost, how can traditional enterprises achieve profit breakthroughs? 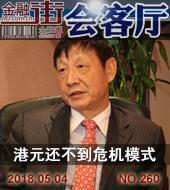 This issue of "Financial Street Conference Room" invited Ye Yuanxi, Chairman of Guangtian Co., Ltd. to interpret it. Since the first batch of three city commercial banks listed in 2007, the IPO of small and medium-sized banks has been stranded for nearly five years. What is the reason behind the stranding? What are the problems and risks? What are the advantages and prospects? 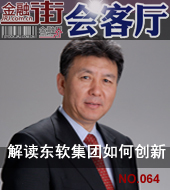 In this issue of "Financial Street Conference Room", Guo Tianyong, director of the Bank of China Research Center of the Central University of Finance and Economics, will talk about his observations and opinions. Since the first batch of three city commercial banks listed in 2007, the IPO of small and medium-sized banks has been stranded for nearly five years. What is the reason behind the stranding? What are the problems and risks? What are the advantages and prospects? 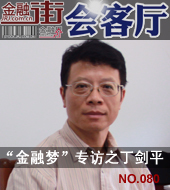 In this issue of "Financial Street Meeting Room", Liu Weihui, Director of the Financial Key Laboratory of the Chinese Academy of Social Sciences, will talk about his observations and opinions. As an economist with an international vision, how does he view China's economic development status and crisis? 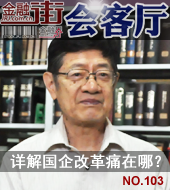 What kind of reform proposals will be proposed? 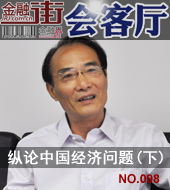 In his view, what should be the innovation and breakthrough of the securities market reform? 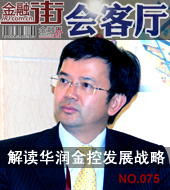 This issue of "Financial Street Conference Room" talks to Cao Yuanzheng, chief economist of Bank of China. As a senior CPA, how does he view the reform of the new share issuance? In his opinion, where should I start? What innovations and breakthroughs might there be? What are the problems and roles of CPAs in them? 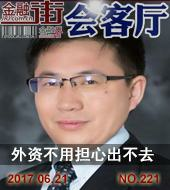 In this issue of "Financial Street Conference Room", Zhang Lianqi, a senior partner of Ruiyuehua Certified Public Accountants. 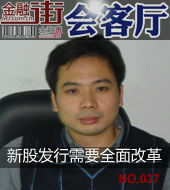 He is one of the main designers of the GEM, and he said that love is deeply hated. How does he view the status of new share issuance? How should its reform be set? Where do you start? What innovations and breakthroughs might there be? 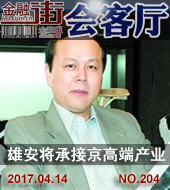 In this issue of "Financial Street Conference Room", Liu Jipeng, director of the Capital Research Center of China University of Political Science and Law. 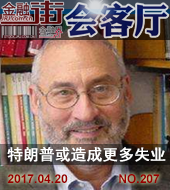 He has done research on economic system reform for many years in the central government and is one of the authoritative experts in the study of share reform. How does he view the status of new share issuance? In his view, where should the reform start? What innovations and breakthroughs might there be? 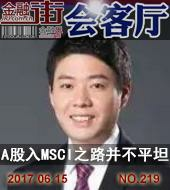 In this issue of "Financial Street Conference Room", the research director of Great Wall Securities will contact Wei Da. 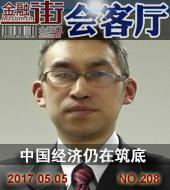 He is a Hunan-based economist who speaks eloquently and has profound academic accumulation and pragmatic frontier observations. How does he view the status of new share issuance? In his view, how should its reform be set? What innovations and breakthroughs will there be? 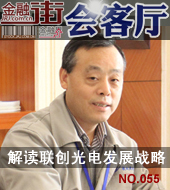 In this issue of "Financial Street Conference Room", Liu Yuhui, Director of the Key Laboratory of Finance of the Chinese Academy of Social Sciences. 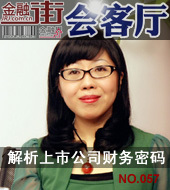 She is passionate and rational, and is one of the strong defenders of market principles. How does she view the status of new share issuance? How should its reform be focused? Where do you start? What innovations and breakthroughs might there be? 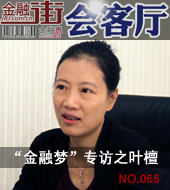 In this issue of "Financial Street Conference Room", Ms. Zuo Xiaolei, Consultant of the Chief Executive Officer of Galaxy Securities. No. 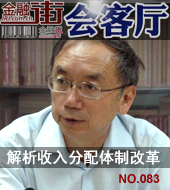 035: Why would you talk about Bishuiyuan Capital Raiders? In the tide of energy conservation and environmental protection, it is determined to become a source of clear water; on the platform of the capital market, it is favored by investors; how to maintain technological leadership in the future? How to balance development and a stable balance? What is the combination of industry and capital? 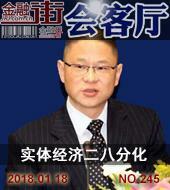 This issue of "Financial Street Conference Room" is approaching He Yuanping, Vice President of Bishuiyuan. How to clearly examine yourself in the process of transformation and improvement of tens of millions of Chinese companies? How to continue to realize value? On the eve of the change of Chinese investment institutions, how should the “master doctors” be autonomous? 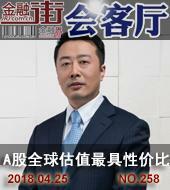 In this issue of "Financial Street Conference Room", Zhang Landing, Vice President of Investment Asia, talked about his observations and thoughts. Why is it possible for Chinese companies to move forward steadily? How does he play big finance before the business model and the market's timing? On the stage of the capital market, how does the green fulcrum shake the global market? 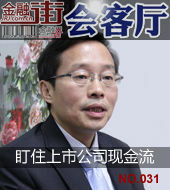 In this issue of "Financial Street Conference Room", Wang Jiuhua, executive director and chief financial officer of Sino-German Environmental Protection. What is the current status of credit risk management of listed companies? How to identify and prevent "black swan" in advance? Which type of listed company is a high-risk echelon? 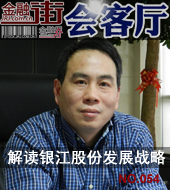 This issue of "Financial Street Conference Room" invites Xu Huiyi, Director of China Product Development and Marketing, Huaxia D&B, to share his research and experience. 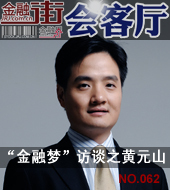 He is a management rookie of the top international venture capital fund in China and has been entrusted with many expectations. He is a kind-hearted technical school in the eyes of entrepreneurs. He knows because of his experience; how does he view the current venture capital environment? How to "deep sea diving"? 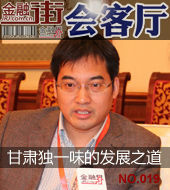 This issue of "Financial Street Conference Room" invited Kaipeng Huaying Zhou to share his experience. She likes red, she said that this has become her signature color; she is gentle and always smiles, but she said that she is willing to be a leader in promoting the development of the venture capital industry; she has always been practical, with a mission and a firm belief in her ideals. How will we balance the balance of justice and profit? 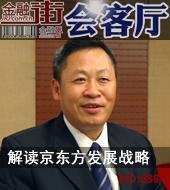 This issue of "Financial Street Conference Room" focuses on Liu Junhong, Chairman of Dongfang Saifu. How do they get out of their own characteristics in the battlefield of the venture capital? Another transformational link in the development of the industry, what is their "winter" choice? As a listed company with its capital front, what plans does it have for future business expansion? 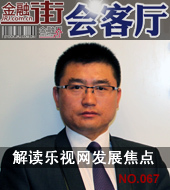 This issue of "Financial Street Conference Room" focuses on Qinghai Gelatin. 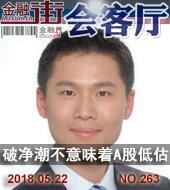 He is one of the masters of Chinese futures talents. 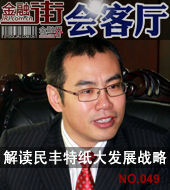 He is Yu Yuqing Yue; he is a character of domestic economists, and he is a strong advocate; this issue of "Financial Street Conference Room" invites Beijing Institute of Technology Futures Securities Institute Chang Hu Yu talked more about his observation and experience of stock index futures and economic hotspots. In the eyes of insurance fund managers, what are the current investment opportunities? What is the attraction of stock index futures to institutional investors? What is the history of insurance fund investment? 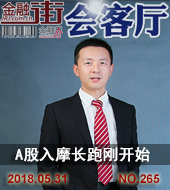 This issue of "Financial Street Conference Room" invites Xiao Jinhe, General Manager of Jiahe Life Asset Management Department to share his research and experience. No. 023: If the policy is not adjusted in time, it will make a big mistake. 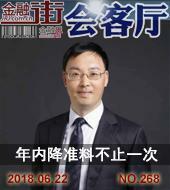 He is one of the founders of China's futures market, and he is devoted to the future of big country capital. 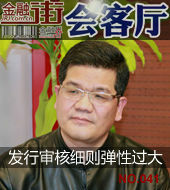 He teaches in many colleges and universities, and he does not regret the Yinyuan gardener's laughter. 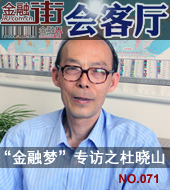 He is only proud of the world; this issue of "Financial Street Conference Room" invites Professor Chang Qing to talk He observed and experienced the stock index futures and economic hotspots. Since the launch of stock index futures more than a year ago, how do professionals evaluate their development? What is the trend of the economic and commodity markets closely related to it? How can ordinary investors better grasp their investment opportunities? 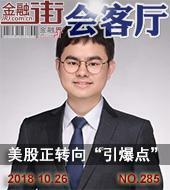 This issue of "Financial Street Conference Room" invited Zhang Xiaolei, director of the Jinpeng Futures Economic Research Institute, to share his research and experience. In the eyes of senior investment experts, how will the economic situation evolve in 2012? The inflation nightmare is still clear, where will the commodities go? In the misty capital market, how will the Nuggets meet the industrial opportunities? 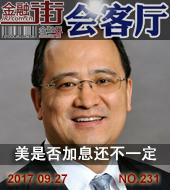 This issue of "Financial Street Conference Room" invites Wang Lei, the chief investment officer of Century Jiaxin, to share his experience. 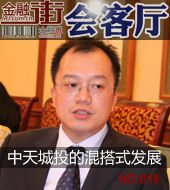 He is a securities expert among the CPPCC members. His "advanced" research has allowed his proposal to eventually be converted into government policy. 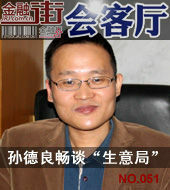 He is a scholar who is very popular among journalists. 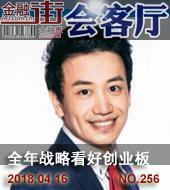 His bluntness makes him have an unusual popularity; whether it is studying or building The policy is unchanged from his ideals and persistence in the development of China's securities market. What is the space and challenge for biopharmaceutical development? What kind of secret weapon should the enterprise fight in the big waves? How is capital competition and social responsibility balanced? 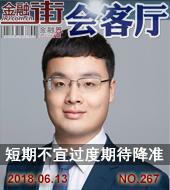 In this issue of "Financial Street Conference Room", Gansu, the deputy general manager of Gansu Province, and the Secretary-General of the Board of Directors, Guo Kailai, explained the unique development and characteristics for us. Why is it possible to frequently benchmark the market hotspots as the most profitable capital players in A-shares? What is the balance between epitaxial growth and core business? What are the concerns and expectations on the road to development? "Financial Street Meeting Room" invited Vice President of Zhongtiancheng Investment and Secretary of the Board Li Jun to interpret the development of "mix and match". What are the drivers and risks of China's economic development in 2012? Can the securities market enter the bull market? What hopes will small and medium investors look forward to? Is the New Third Board and the International Board a promotion? 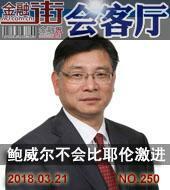 This issue of "Financial Street Conference Room" invited Zhang Weiming, vice president of Pacific Securities Research Institute, to share his observations and thoughts. He is an expert on international issues, and he is studying all aspects of the big country game. 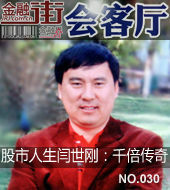 Ren Fengyun entered the eye, he fell in love with his citizens and dared to make different sounds. 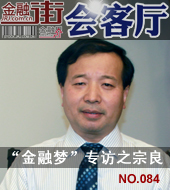 This issue of "Financial Street Meeting Room" invites Zhang Guoqing, a researcher at the American Institute of Chinese Academy of Social Sciences, to talk about his views on the interests of international boards and small and medium investors. Looking at the new year, how will the curve of China's economic development evolve? What are the opportunities and risks for small and medium investors? What are the prerequisites for the launch of the new bull market? Is the new three board and the international board a good or a curse? 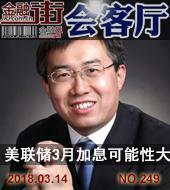 This issue of "Financial Street Conference Room" invited Dong Chen, director of Hongyuan Securities Research Institute, to share his observations and thoughts. 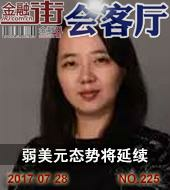 She is a gentleman and easygoing, one of the few economists; she has a keen insight into the Chinese economy; she has extensive overseas financial experience and an open international vision. 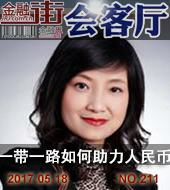 This issue of "Financial Street Conference Room" invites Ms. Wang Tao, chief economist of UBS Securities China, to be a guest. How does it break out in a highly competitive video site? The copyright war is filled with smoke, is it burning money or winning? What is the driving force behind its brilliant cultural stocks? 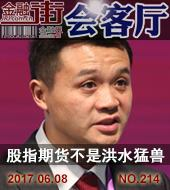 This issue of "Financial Street Conference Room" invites LeTV's vice president and secretary-general Deng Wei to interpret its development. How can a bank with a non-performing loan ratio of 56% turn around in less than a decade? Now, why does it have the ability to rise up in several financial places across the country? In the future, what kind of progress and persistence did it choose? 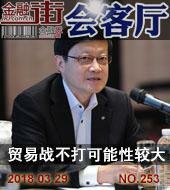 This issue of "Financial Street Conference Room" invited Wang Jinping, Governor of Dalian Bank, to interpret it. 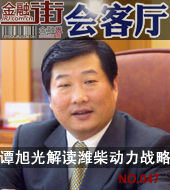 He is the first person to put forward the concept of local finance. For decades, he has been rooted in the three rural areas. He is a straightforward and brave entrant. His responsibility is based on his creed. 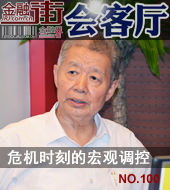 In this issue of "Financial Street Conference Room", Professor Tang Bing, the vice president of the National Institute of Local Finance, is invited to share his observations and thoughts with us. 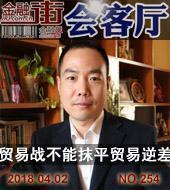 He is a Chinese economist who once worked for the Fed; he is a dedicated scholar with in-depth research in various fields of the financial market; he is also a book-teacher in several top universities at home and abroad. 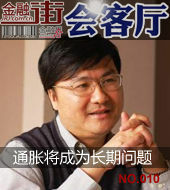 His profound academic background and rich practice have made him one of the most internationalized Chinese economists. They come with a sense of ideals, with a red heart that has been polished and polished, and laughter and talk about the difficulties of the past to meet the challenges of the future; they practiced from the subtleties and practiced with the spirit of "long-distance running". A more lively and specific industrial upgrading tide is moving forward. In the eyes of international observers, what should be the fundamental development of Chinese SMEs? Where does the financing path lead? As a player in the game, how do you see the steady rise of the Deutsche Börse? How will this bring to the global financial capital market? 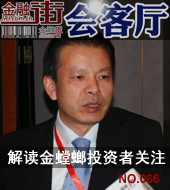 This issue of "Financial Street Conference Room" invites Mr. Yan Jianhong from the Deutsche Börse to answer questions. 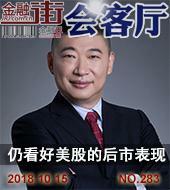 Among the different styles of investors, he is vocal about the media people's background; in the tempting investment circle, he has to be a deep-spoken participant; what is the timing and opportunity of his business? 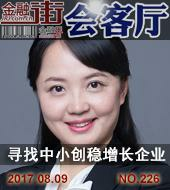 This issue of "Financial Street Conference Room" will bring you to Chen Lihui, managing partner of Beijing Hezhong Capital Co., Ltd. In the power of the growth of small and medium-sized enterprises, financial leasing came. It uses "things" as a bridge, focusing and far-reaching, focusing on depth. 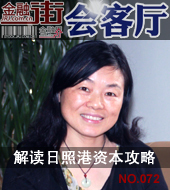 This issue of "Financial Street Conference Room" invites Ms. Luo Yufang, deputy general manager of Far East International Leasing Industrial Equipment Division to explain how financial leasing is used by enterprises. Is the research report on Chinese-funded concept stocks issued by Moody's and Fitch recently fair? What are the main problems of Chinese-funded stocks? How do Chinese concept stocks get out of this crisis? 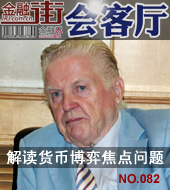 In this issue, we will bring you the authoritative interpretation of the chairman of the First Meeting and the risk management expert Mr. Lu Duojia. He is a venture capitalist in Disney's fund of “Dreamland”, inspiring more ambitions to fight for the ideal, walking side by side on this thorny and luscious road to entrepreneurship. 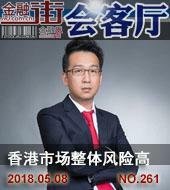 In this issue of "Financial Street Conference Room", you will come close to Siwei Investment Partner Cui Lin and listen to his feelings and thoughts. She is a heroic woman in the financial circle. 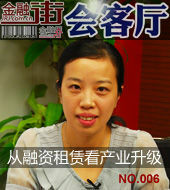 Her courage and self-confidence are due to the love and deep cultivation of microfinance. 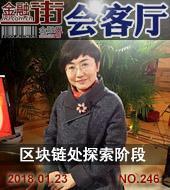 She is responsible for both the two ends of the business, and she walks the balance beam and insists on “inclusive finance, harmonious and common prosperity”. OK... 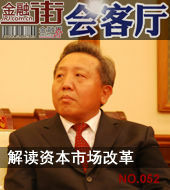 Approaching Sun Jialu, I understand the spring and rain of the microfinance of Harbin Bank and the fragrance of autumn. He knows the "commercial circle" all over the country; he communicates with thousands of small business leaders in a year; he said that small and micro enterprises are helping the bank; he is bitter to give advice to small and micro enterprises... he led a The pioneering army supporting the development of microfinance in the national banking industry is focused, passionate and rigorous. 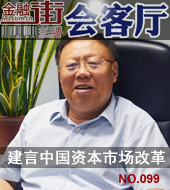 In the heat wave of serving small and medium-sized enterprises, the Small and Medium-sized Enterprises Association is a colorful bridge, with a string of institutional service providers, one company attached to the enterprise, while promoting the company to look up the road, while pushing the institutional innovation. In the past five years, it has been fruitful. What is the current development of SMEs and investment and financing? What are the constraints and confusion?